I have always thought that Dr. Francis Collins is a pretty cool guy. When I first met him in 1992, I was impressed by his engaging personality, his love of playing the guitar and riding motorcycles, and his unabashed Christian faith. 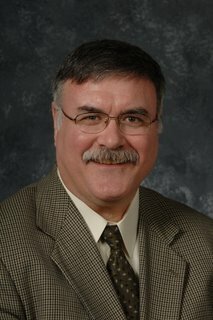 Dr. Collins is the head of the National Human Genome Research Institute, and directs the Human Genome Project, the $3 billion project to define the DNA sequence of human beings. The first 'rough draft' was completed in June, 2000, with the essentially complete sequence revealed in April, 2003. 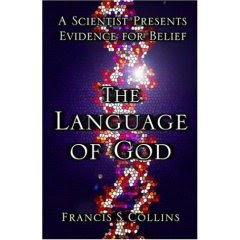 A geneticist and physician, but also an evangelical Christian, Dr. Collins uses these various perspectives to harmonize science and faith in his best-selling book, The Language of God: A Scientist Presents Evidence for Belief (Free Press). He refers to the genetic code as "God's Instruction Book," and attests to the creativity and beauty inherent in this most basic blueprint of our biological nature. After sharing his personal journey into faith, Collins makes a compelling case for his committment to theistic evolution. He criticizes Young-Earth Creationism (YEC) for "ignoring" clear scientific evidence for evolution, and takes Intelligent Design to task for not being "scientific enough." Now I do not agree with Francis Collins here. I think he is much too hard on YEC, and too dismissive of Intelligent Design. It seems reasonable that our Creator would allow us to see the evidence of His handiwork in the creation around us. [The] DNA sequence alone . . . will never explain certain special human attributes, such as the knowledge of the Moral Law and the universal search for God (p. 140). This common knowledge of God's Moral Law is why we have such broad agreement on ethical basics across many cultures and worldviews. And the yearning after God can never be ascribed to natural selection and the survival of the fittest. So read The Language of God with thoughtful care. Despite my disagreements with his evolutionary viewpoint, Francis Collins demonstrates that science and faith are not incompatible. I would be glad to have coffee with him and talk about the things of the Lord. Maybe sometime he'll even give me a ride on his motorcycle.